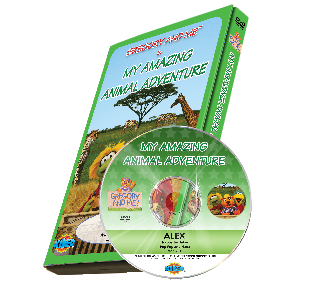 Send your child on an animal adventure with Gregory Gopher™ and travel the world exploring different animals. From swimming in the ocean to canoeing on a tropical river, your child will have fun interactions with animated animals, play games, and learn about them, while having their name spoken throughout this 25-minute adventure. When these two traveling pals arrive home from their adventure, they share a big surprise with all of their friends! DVD runs approximately 25 minutes.